The singer Bono of the band U2 once completed an introduction for Frank (at the Grammy Awards, if I remember right) by asserting that Sinatra represented “final proof that God is a Catholic.” Well, I’m not convinced on that score, but I confess that I have often thought of Frank Sinatra—or at least of his greatest work—as being final proof that God is, period. 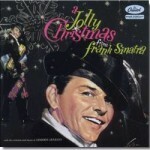 Now, sad to say, there remain some mortals who don’t get Sinatra. Actually it’s perfectly understandable. Most people, after all, are exposed first to the variety of caricatures of him that exist in the popular consciousness, and to his more showbiz-y numbers, and to the regrettable schlockiness in some of his later work. Sinatra also had a big public personality to match his big talent, and the former is easier for those in the entertainment and news media to focus on than the latter. 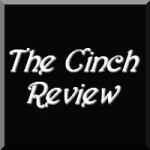 Relatively few people get exposed in the proper way to Sinatra’s greatest musical works, although it is those works that have secured his true legacy and will continue to so do for centuries to come. 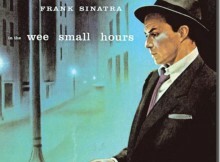 There’s some debate as to what Sinatra’s greatest album was, but not too much debate as to what was his greatest period. 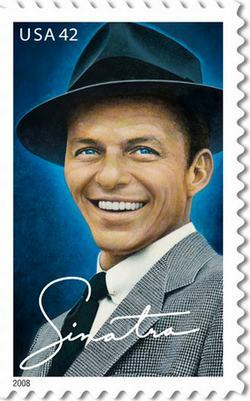 Although there is certainly much to be said for his earlier work and for some of his 1960s albums, it was while he was making music for Capitol Records between 1953 and 1960 that Sinatra consistently delivered those albums which continue to stand as unsurpassed examples of singer, songs and arrangements working in near perfect symbiosis. And, to me, the most perfect of all of those great LPs—the pinnacle of the peak—is 1955’s In the Wee Small Hours, arranged by Nelson Riddle. The deejay and masterful Sinatra-phile Jonathan Schwartz has referred to it as Sinatra’s “cathedral work,” which I think is very apt. I understand why some would pick the more unrelentingly dark Only the Lonely, or the effortless, perfectly balanced verve of Songs for Swingin’ Lovers!. 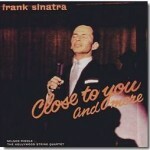 I also have a deep penchant for the profound intimacy and sensitivity of Close to You, which Sinatra recorded with Felix Slatkin’s string quartet. However, it remains In the Wee Small Hours which devastates this listener most deeply and in the best possible sense. Consisting of songs which were mostly written many years earlier and by a variety of composers, the album somehow seems to be telling the story of one particular man’s love, loss and yearning. Each song—and more accurately each performance—seems to be casting light from a different angle upon the same man’s heart, even as his moods change and his unsettled spirit struggles on. There is for example the wistful dreaming of “I See Your Face Before Me,” the crumbling denial of “I Get Along Without You Very Well,” the restrained yet excruciating regret in “It Never Entered My Mind,” and the darker meditations that are Sinatra’s readings of “What Is This Thing Called Love” and “Ill Wind.” The album can be heard as a cycle of songs telling a single individual’s emotional story, and yet it is a cycle brought to fruition without a hint of self-consciousness, pretension or strain. It is a truly amazing achievement, where the whole seems to be something considerably greater than the sum of its already impressive parts. And so it is that I would recommend the following Francis Albert Sinatra test to those whose feel that they cannot believe in a God, or even to those whose belief is present but at times shaky and faltering. 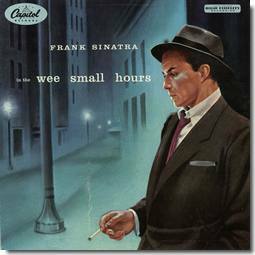 Obtain a proper edition of In the Wee Small Hours. Sit in an optimum location for hearing your stereo’s sound reproduction. If it should be your wont, pour yourself an adult beverage or ignite your preferred tobacco product. Otherwise and in any case, start the album at the beginning and close your eyes. Listen to all sixteen tracks, the full fifty minutes or so, giving yourself over completely to every peak, valley and nuance that achieves its realization in Sinatra’s voice and Nelson Riddle’s strings. What’s to become of it, this love of mine? You only know, listening to Frank Sinatra sing these words, that this love of his will go on, and on. As the last note fades, you must ask yourself honestly if all that took place in those just-passed fifty minutes could possibly be the accidental product of some mixed up matter and goo, which somehow combined, took to reproducing itself, and culminated in 1955 in a recording studio with Frank Sinatra, Nelson Riddle, all the other musicians, and this collection of songs, melding together into the sublime work that is In the Wee Small Hours. If you can believe that … well, my only explanation would be that your imagination is many times greater than mine. Or maybe your stereo needs repair. To Frank, who must now be interrupting the heavenly choir with some terrific solos, much as he did in his years with Tommy Dorsey’s band: We miss you. Also see other articles in our Frank Sinatra Wing. Rating: Ten out of ten lead pipes.